Is your contractor Pond Squad approved? 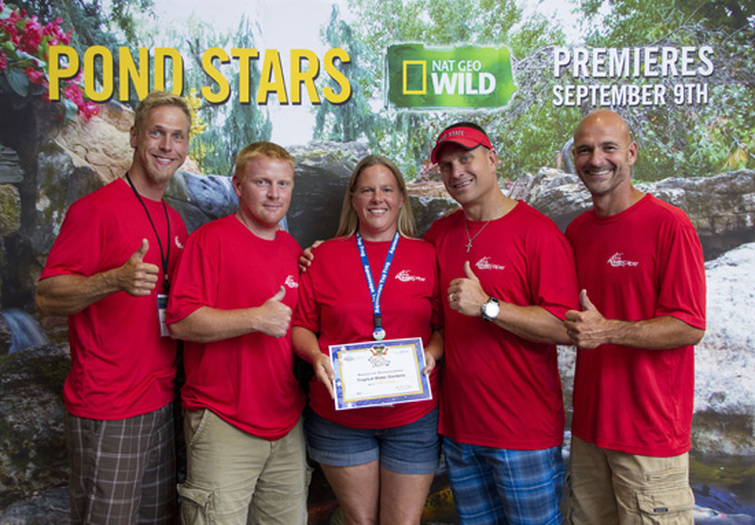 The stars of the show (from Aquascape) are Greg Wittstock, Ed Beaulieu, Brian Helfrich and Chris Hanson. These guys are my mentors and my friends. I have trained with each of them and worked on numerous builds around the country (and world) with them over the past 10 years. I was honored to be acknowledged as a Top Frog, in the top 100 contractors and have my picture taken with the Pond Stars. Please visit our Facebook Page for additional pictures and information on Tropical Water Gardens!